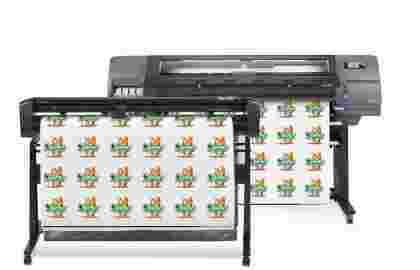 The HP Latex 3500 is a brand new, full production Latex printer capable of printing up to 12 hours completely uninterrupted. Using 10 litre ink cartridges and either a 300kg single roll or two 200kg dual roll the Latex 3500 is ideal for single application runs. Speed up your production workflow and increase your profit margins while reducing your printing costs with economies of scale. Starting printing so much more than just traditional signage with the HP Latex 360 – it can produce everything from stickers and window graphics, to billboards and outdoor banners with ease. The latex inks are just as scratch-resistant as hard-solvent inks, meaning laminated outdoor signs can last up to five years. Any business that needs to turnaround its orders fast will benefit from the 360. The prints come out of the printer dry, so they can be finished and delivered to the client straight away. The HP Latex 3600 printer has been designed to maximize your uptime and overnight printing, with a number of innovative features that allow for single operator management, reduced maintenance needs, and heavy-duty rolls and 10-litre ink cartridges for maximum productivity. 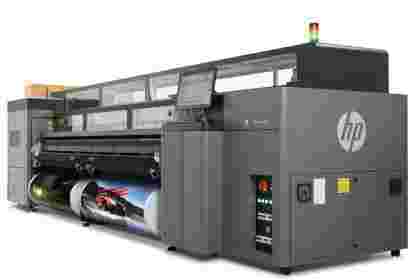 The HP Latex 370 is a new 24/7 production printer which utilises 3 litre ink cartridges for true uninterrupted printing. 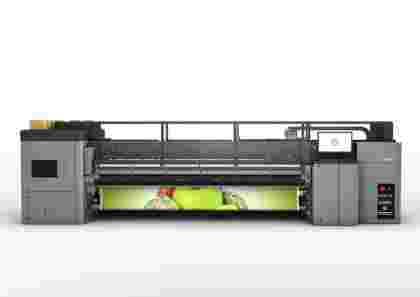 Based on the HP Latex 360, the 370 has a 64in print width and can produce prints at up to 101 sqr/m an hour. 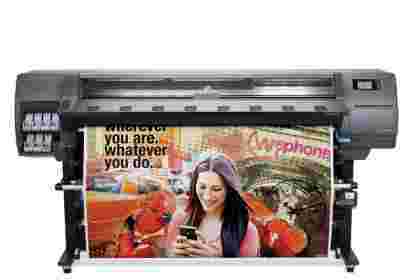 The printer can be remotely monitored using the HP Latex Mobile Application which updates users on ink levels, printer alerts and job progression. High image quality and high productivity from a sustainable model that’s better for your operators, your business and the environment. Expand your reach with stunning outdoor/indoor applications. 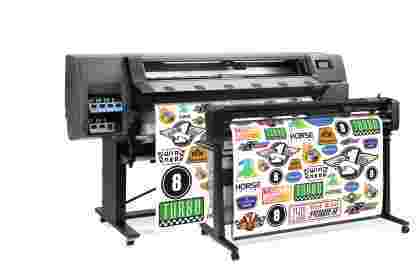 High-quality prints are delivered at true production speed with a 3.2 m (126 inch) printer that also speeds up your workflow and cuts costs. Attract environmentally conscious customers. 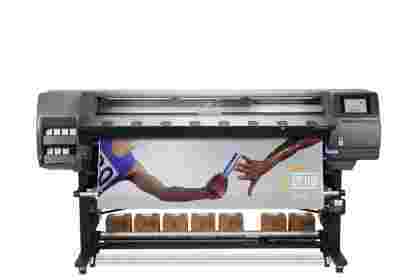 This 54-inch (1.37m) HP Latex printer delivers amazing results with vivid colours across a wide range of applications such as vinyl, stickers, canvases and point-of-sale posters. You can say yes to any job and deliver the same day. Double your speed and save more time with HP’s true print and cut solution. Manage the integrated workflow from a single point, and take advantage of HP Signage Suite to produce more applications - no design skill needed. 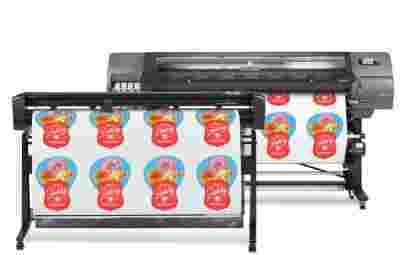 Increase profit margins and reduce machine costs with the new HP Latex 1500, designed as an affordable production Latex printer the machine is capable of true production printing across a wide range of substrates, with automatic maintenance services and high quality applications. 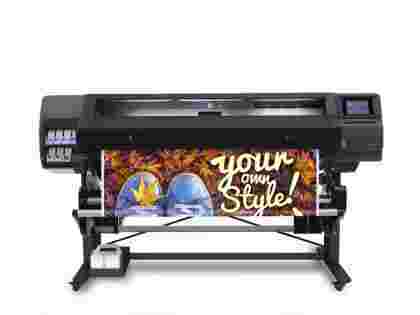 The HP Latex 280 has been around for a number of years, initially launched in 2011 as the HP Designjet L28500 its technology has laid the groundwork for the new 300 series and for many series to come. With a massive print width of 104in and a superior print speed, the Latex 280 is perfect for companies looking to print large banners, vehicle wraps, wallpaper drops and even textiles; while helping reduce media wastage and a lower running costs. The Latex 3000 is a great option for businesses looking to upgrade their older, slower latex machines into one much more efficient printer, as well as lower their running costs and boost their offerings. All prints are cured inside the machine, so they always come out dry. This allows you to finish and deliver them instantly. 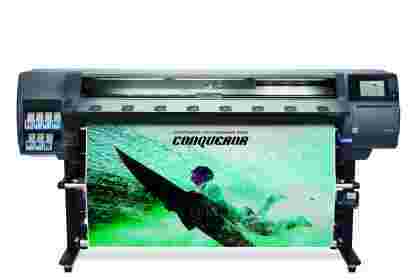 In addition, the prints themselves are produced super-fast too, as this printer is capable of reaching printing speeds of up to 180m²/hr (1950ft²/hr). Never has your business been more efficient. 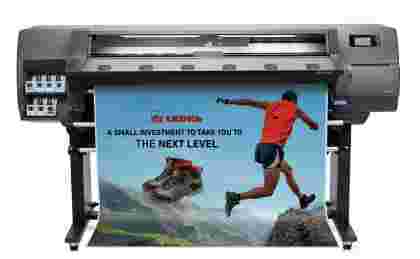 Lower your running costs and increase your profits by investing in the HP Latex 310. The water-based latex inks combine the best aspects of water-based inks with solvent inks, and allow your printing business to be more versatile than ever before. Produce hard-wearing outdoor signs that can last up to five years when laminated, and reach new indoor spaces you couldn’t previously with your solvent ink printer, such as healthcare. HP Latex inks are scratch-resistant, odourless and cure quickly inside the machine, allowing you to increase printing and delivery turnaround times. 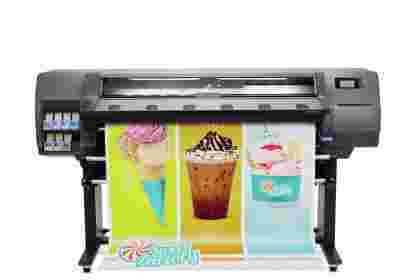 The HP Latex 3100 delivers high quality applications with even higher print speeds on a wide range of media. 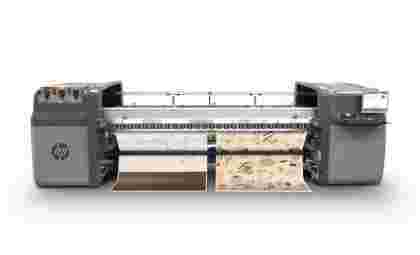 Working in tandem with the HP Latex Mobile App for remote monitoring and including a new visual reporting system, the HP Latex 3100 is built for performance, quality and profit. 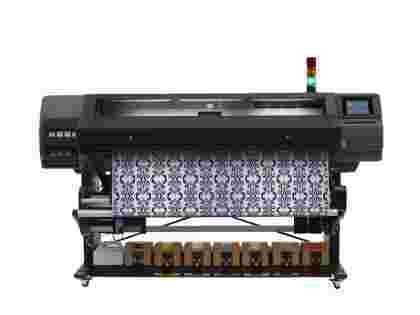 The HP Latex 3200 printer has been designed to allow printers to diversify their output, while maintaining production in-house. HP Technology has been used to create a combination of speed and quality that’s hard to beat, while the 3200 has the environmental credentials for end-to-end sustainability. 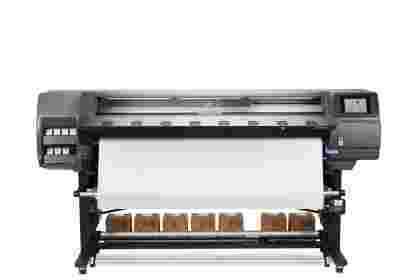 Increase your profits and lower your running costs today by purchasing the HP Latex 330 printer. It enjoys the best of both water-based and solvent inks, and has increased health advantages and lower maintenance costs than even eco-solvent printers. 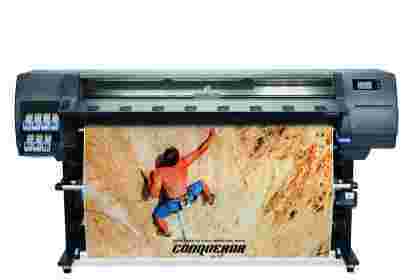 You can expand your businesses’ capabilities with the 330, as it’s perfect for outdoor prints as well as indoor signage. The water-based latex inks make it possible to reach locations you could not before, such as healthcare facilities, because the prints come out odourless. Water-based HP Latex Technology is unique, delivering a combination of true application versatility, high image quality and high productivity, and a sustainable approach that’s better for your operators, your business, and the environment. Print in anything in high quality and with eco standards with the new Water-based HP Latex 315. Optimize speed, minimize damage risk and offer instant delivery with the new automatic X-axis cutter. 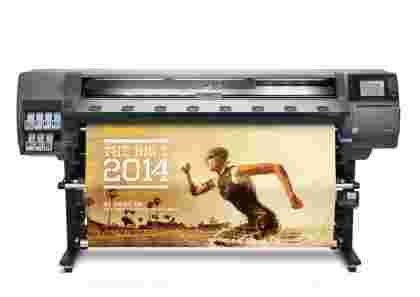 Execute large, high-quality prints with the new water-based HP Latex 335. Achieve superb image quality at a high level of productivity with HP Latex Inks that rapidly immobilize pigments on the surface of the print. Keep printing costs low and save time with automatic printer maintenance, the HP Latex 560 is one of the most user friendly latex machines yet. Quickly change media using the spindleless media pivot table and easily print double sided, high quality, vivid prints on lower costs substrates. Like the HP Latex 560 the HP Latex 570 is designed to produce high quality, vivid prints on lower cost substrates quickly and efficiently. 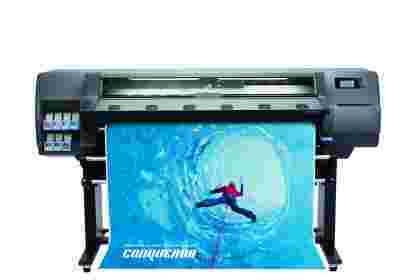 It incorporates larger 3-litre ink cartridges for true production printing, while the integrated beacon signals operators of any printing issues.